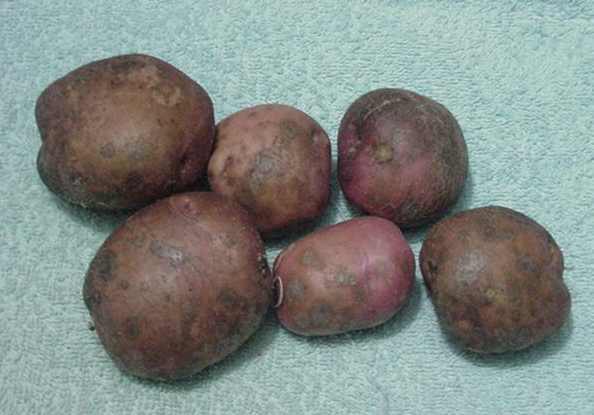 Beautiful floury potato with excellent flavour; uncommon. Yield in pots: about 2.5lb... good choice for the container grower. 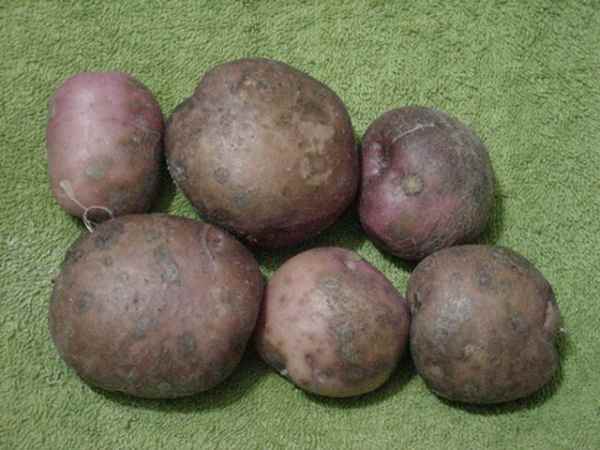 The picture shows tubers which were dug up in October just before use in February; they keep very well.